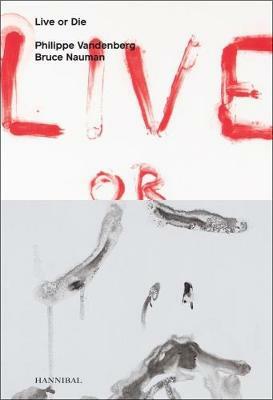 This publication combines the works of Belgian artist Philippe Vandenberg (1952-2009) and American artist Bruce Nauman (b. 1941). At first, it may seem startling to see Nauman's small but dense selection of works alongside those by Vandenberg. The artists never met one another and they could not be more different in their choice of artistic media. And yet there's something that links the oeuvre of these apparently divergent artists. This publication examines that extraordinary link. The art of both Vandenberg and Nauman is direct, uncompromising and distressing. They share a common attitude towards their artistic practices. Their works are raw and uncouth, finished just to the point where they enter the onlooker's conscience as a kind of prelude or genesis to something. The work of Vandenberg and Nauman originates form the same source: frustration. They cry out in despair at the dark side of humanity, mourning our propensity for hatred and violence, coldness and vilification. They explore the impossibility of genuine, uncompromised communication between individual people. Both artists succeed in creating images that capture the abyss within ourselves, our failings and our cruelty. Lust and pain, violence and horror are all too close to each other. "It is said that art is about life and death. That may be melodramatic, but it's also true," Nauman said. "LIVE OR DIE! Nothing more, nothing less." The book is edited by Wouter Davidts, with texts by Dr. Brigitte Kolle (Head of Contemporary Art, Hamburger Kunsthalle), John C. Welchman (Professor of Art History, University of California, San Diego) and Anna Dezeuze (Lecturer in Art History, Ecole Superieure d Art et de Design Marseille Mediterranee). It accompanies an exhibition at Gallery Sofie Van de Velde in Antwerp: 30.03.2017 - 21.05.2017.